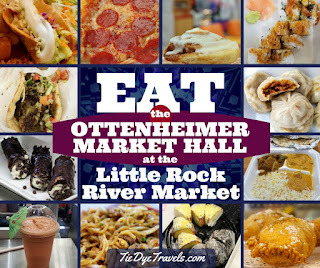 Eat The Room - Dining In The Ottenheimer Market Hall at the Little Rock River Market. 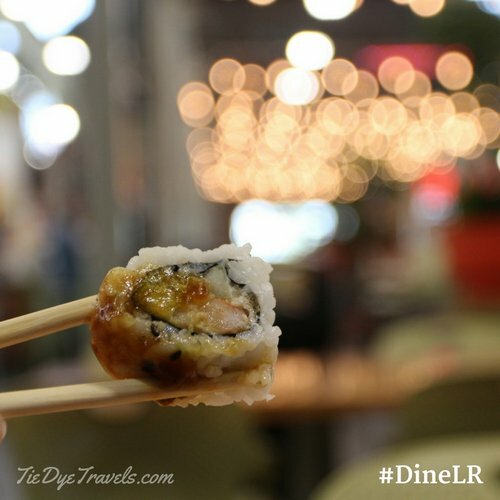 A delectable variety of cuisine is available under one roof in downtown Little Rock. 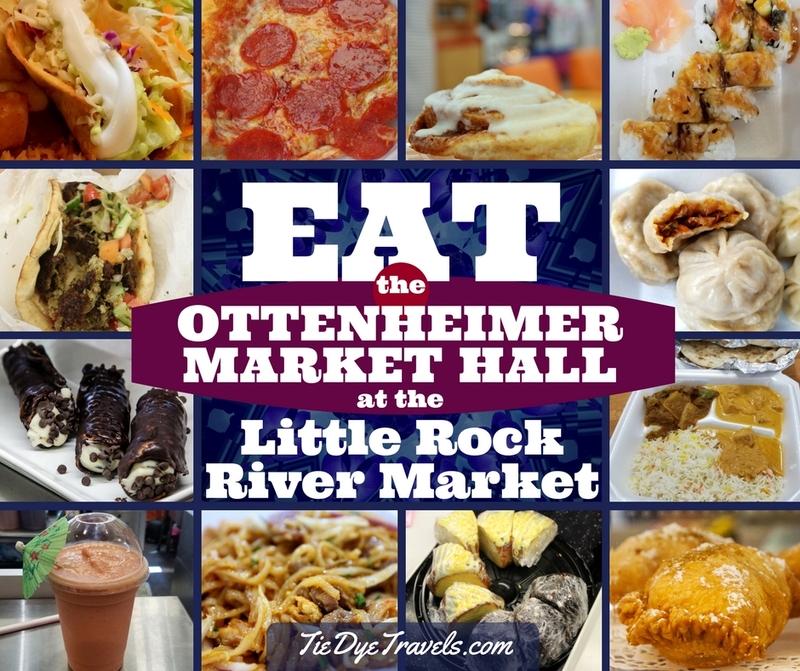 Let's venture inside the Ottenheimer Market Hall along President Clinton Avenue to find a great place for breakfast or lunch in the Little Rock River Market. 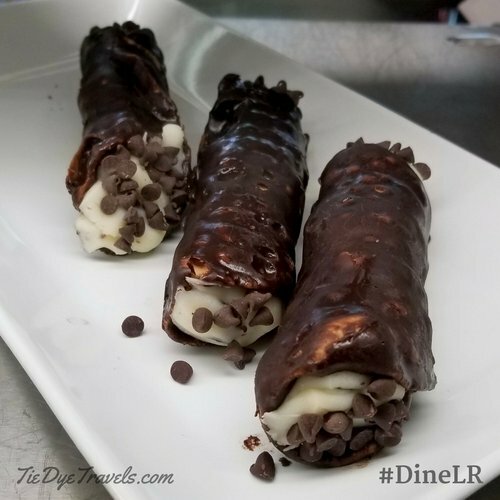 Over the course of Little Rock Restaurant Month, I've ventured out across the city I grew up in to take in so many new experiences - both of the culinary sort and the attraction sort. This particular facility is both. Nestled in the heart of the booming River Market district, this block-long building contains a host of vendors - most of which offer dining experiences. The central area is shared, a combination of tables with seating and big armchairs designed to give visitors a comfortable place to relax and enjoy a sip, a bite or a few minutes of reorientation. For tourists, it's a great place to grab a bite while exploring nearby attractions such as the Clinton Presidential Center, the AGFC Witt Stephens Jr. Nature Center, Riverfront Amphitheater's concerts and films, Historic Arkansas Museum, the H.U. Lee International Gate and Garden, the Old Statehouse or Heifer Village. For locals, it's downtown dining where choices are easy - a good spot to bring a co-worker or friend who has different tastes from you. The selection in the hall has evolved over the years - and some of the restaurants and businesses that started under this roof (Cocoa Bella, Brown Sugar Bakeshop, Andina Cafe) grew and moved to other locations. 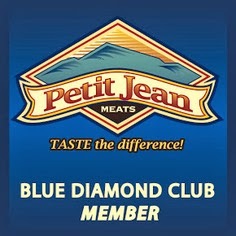 There's always something for everyone - from American to Asian, from bread and burgers to salads and gluten-free optios. 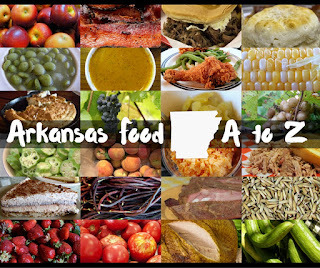 During the growing season, the Little Rock Farmers Market meets in a pavilion attached to the back of the hall, and the hall itself provides a nice air-conditioned space to enjoy some of that fresh fare. Here's a rundown of what you'll find inside the Ottenheimer Market Hall, and some suggestions to boot. All listings current as of August 30, 2017. Bangkok Thai. Oh, the noodles. This is the little noodle shop just inside the north doors of the building, where Asian specialties such as Pad Thai, Green Curry and Num Tok can be found. The specialties are listed overhead on a board, left to right, mild to spicy. And when I say spicy, I mean it. 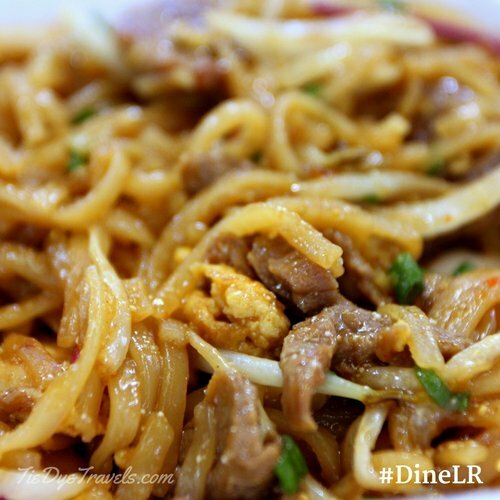 On our latest visit Grav had the Bangkok Noodles with chicken and beef (there is an upcharge for extra meats). He came to the table with a large clamshell box full of fresh-fried noodles. 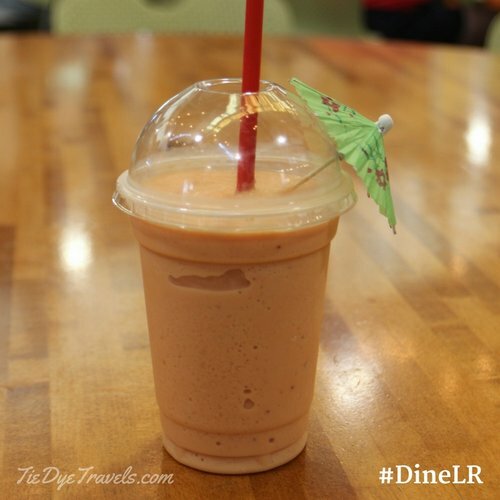 Within moments of his first bite, he had broken out in a sincere sweat, rushing through his bottled beverage and seeking out solace in a smoothie (see Rivershore Eatery). If you like spicy, this is the dish for you. Bea Blessed Bakery. 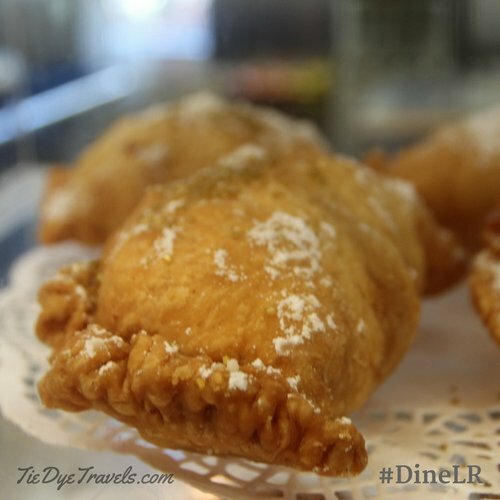 Fried pies are one of the specialties at this relatively new tenant in the hall, and they're good - fat, fluffy crusted and filled with homemade syrupy apple or peach pie filling or chocolate custard. 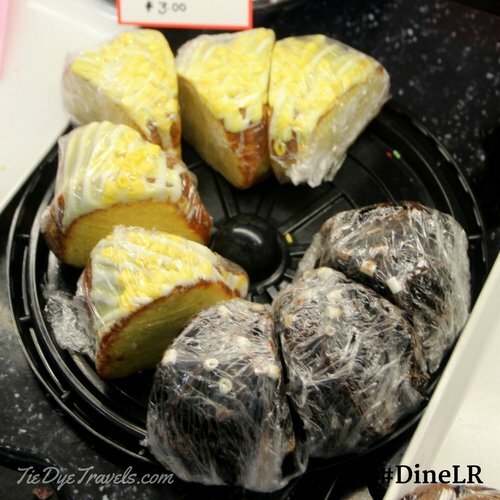 Tiny lattice pies, adorable 6" wide, 4" tall cakes (such as the delectable German chocolate cake), banana pudding and so many more homestyle desserts are on and behind the counter at this adorable little sweet shop. Pot pies, casseroles, sandwiches and breakfasts are also offered as daily specials. Big on Tokyo. Simple and common sushi rolls, fried rice and a variety of teriyaki are offered from this stand next to the north doors. Rolls come with soy sauce in plastic ramekins (rather than packets) for dipping. Casa Manana. The downtown-accessible outlet for the longstanding Mexican operation, this reduced-menu counter serves as a taqueria with a variety of tacos, egg dishes and nachos, along with its proprietary white cheese dip and a selection of specialties such as the humongous Casa Manana Burrito and the oversized guacamole plate. Read about the other locations here. Garden Square Cafe. Doubling as a small grocery for River Market dwellers, this cafe offers a large variety of vegetarian dishes, smoothies, sweets and such as well as local delicacies and coffee beverages. Of note is the Deadly Chocoflan - which won't kill you, unless you believe in the idea of Death By Chocolate. Indian Feast. A newer addition to Ottenheimer Market Hall, this curry joint offers chicken, lamb and vegetarian curries of varying heat and spice. The Chicken Tikka Masala is very popular, but I prefer the mild and tasty Chicken Korma. The Lamb Kadahi is especially spice-ful. 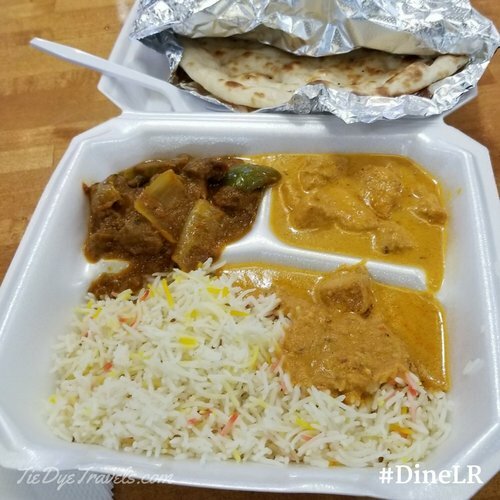 Chicken entrees run $11.99, lamb is $14.99 and vegetarian options are $8.99 - but the better deal is the lunch special, where for under $10 you can get a half order of any two entrees, rice and naan. The cheese naan, if available, is a special treat. Jay's Pizza. Every food court needs a place for pizza pie, and this one serves Ottenheimer Market Hall well - with by-the-slice sales as well as whole pies in 8", 13" and 16" sizes. Daily lunch specials often include some of the oven-baked sandwiches on the menu, and salads and chicken wings are also offered. 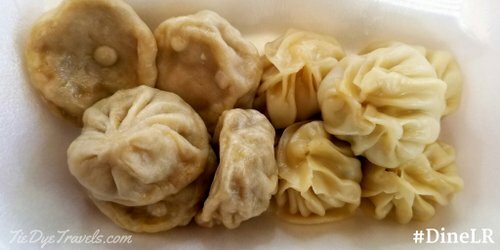 Katmandu Momo. The popular food truck operation has gained ground and space at the northeast corner of the Ottenheimer Market Hall, offering the only Nepali cuisine in the state. The dumplings (beef, chicken or vegetable) are delectable and warmth-bearing pockets of delight. Order a ten-pack or get a dinner of six or eight (you can mix and match flavors) with sides such as Aloo Dum (spicy potato salad), fried rice or spring rolls. Mason's Grill (formerly Mason's Deli). Once a popular sandwich shop, Mason's Grill is now the place to go within the hall for burgers and, surprisingly enough, Italian desserts. Don't like beef burgers? Lamb, turkey, chicken and vegetarian versions are also available. Try the tiramisu. Middle Eastern Cuisine. 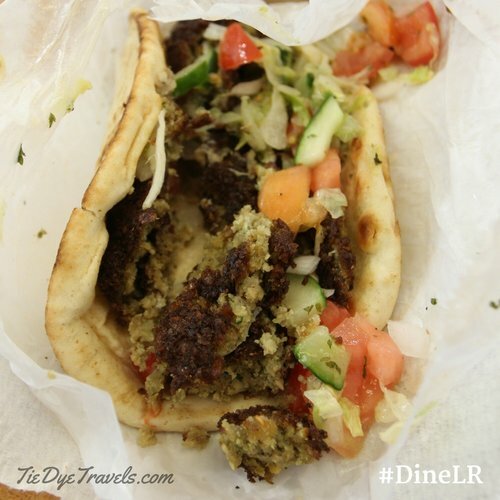 Exactly what it says on the tin, this restaurant and grocery offers falafel, gyro and hot Mediterranean dishes as well as soda, candies and other Middle Eastern effects from its newstand-like counter. One of the hall's oldest operations. Old Mill Bread and Flour Company. An outshoot from the West Little Rock location. Old Mill does a selection of sandwiches on its popular variety of all-organic breads, as well as sweet breads and desserts. 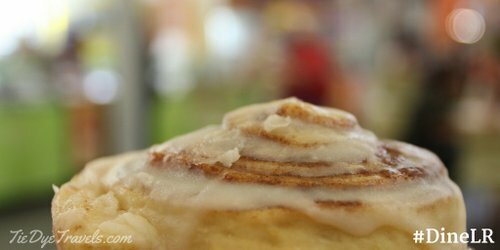 Try a slice of whatever the daily special happens to be - and for an extra special treat, sample the cinnamon roll, which I unabashedly refer to as the Everlasting Gobstopper of cinnamon rolls for a reason. Rivershore Eatery. Sweets? Soups? Sandwiches? Chances are if you're looking for American fare, it's right there. 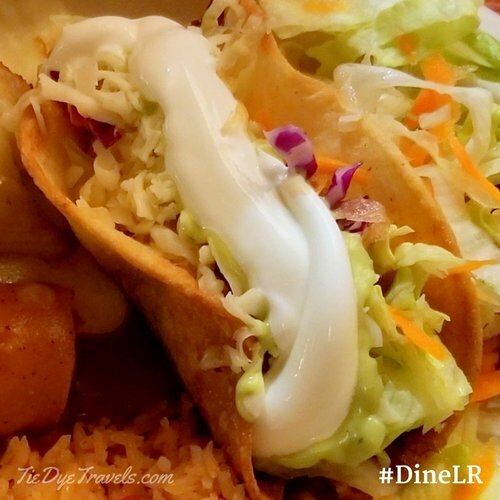 With several different salads, wraps, and even sundaes available, Rivershore is a one-stop-shop. The smoothies are a special treat - as are the candy dips for your ice cream. David's Burgers. 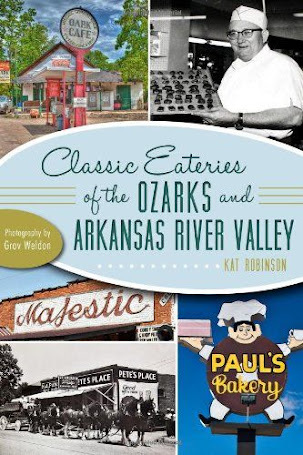 An outlet of the popular Arkansas-based Bubbus family eatery, offering burgers and fries. 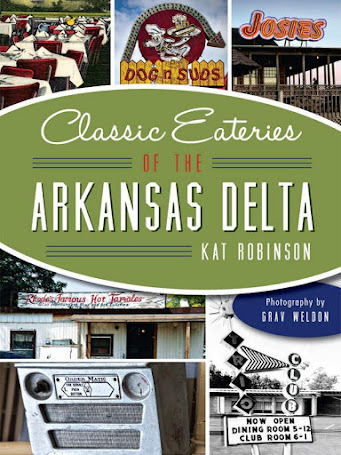 Read my story about the restaurants here. Bobby's Bike Hike. Burn off the delights found in the Ottenheimer Market Hall with a ride. Several types of bicycle are available, including those with child seats. Shop the Rock. 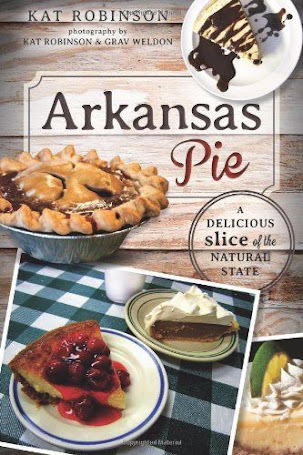 Looking for information about Little Rock's River Market District, or a souvenir to take home? You'll find it in this stop on the southwest corner of the Ottenheimer Market Hall.